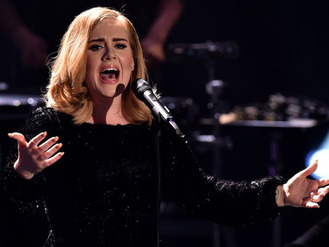 The chart-topping singer has smashed records across the globe with her recently-released third album 25 and will be taking to the stage at Wembley Arena for what ITV promises will be a “very special performance”. Adele will sing her bestselling first single in four years, “Hello”, and will be joined on the line-up by Coldplay and One Direction. Coldplay will perform “Adventure of a Lifetime” from new album A Head Full of Dreams while former contestants 1D will sing both “History” and new single “Infinity”. This weekend will see finalists Che Chesterman, Reggie ’N’ Bollie and Louisa Johnson do vocal battle in a bid to be crowned 2015 winner. Adele said in October that she would duet with an X Factor finalist so long as they weren’t “rubbish”. “It would have to depend on who’s in the final. It depends who’s in it. If they’re rubbish, then no, I won’t,” she told Kiss FM. Tune in from 8pm to see whether she lives up to her promise.